Dashing through the snow—in a Plymouth! 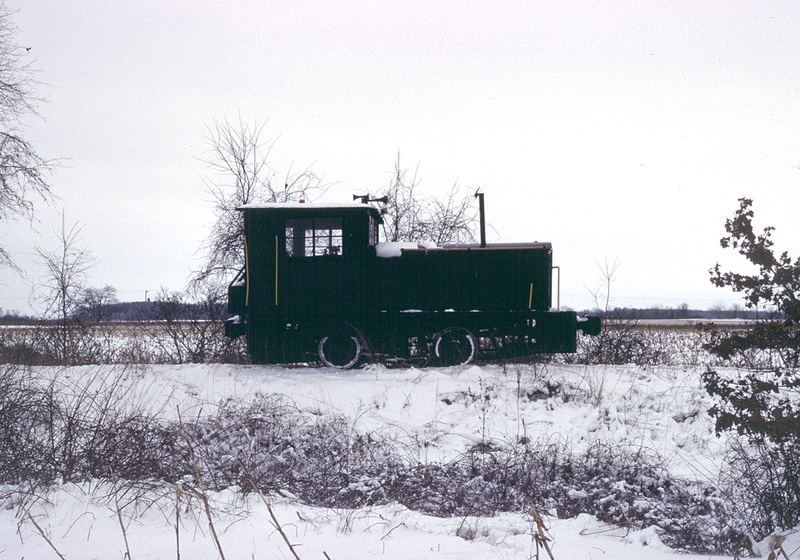 The first piece of full-sized railroad equipment owned by Southern Michigan Railroad Society (not counting the track cars which were accumulating at the time), was the 35-ton Plymouth locomotive. 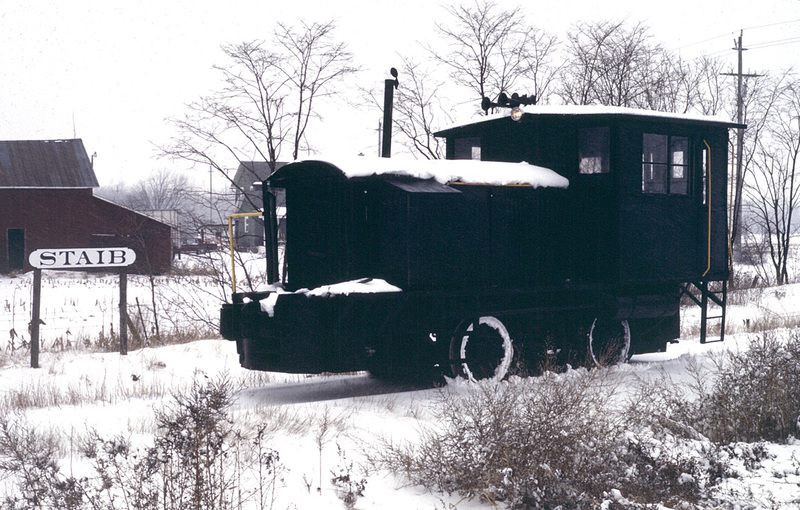 It was donated by the Hayes-Albion Company in Albion, Michigan, and arrived on the railroad in the summer of 1986. 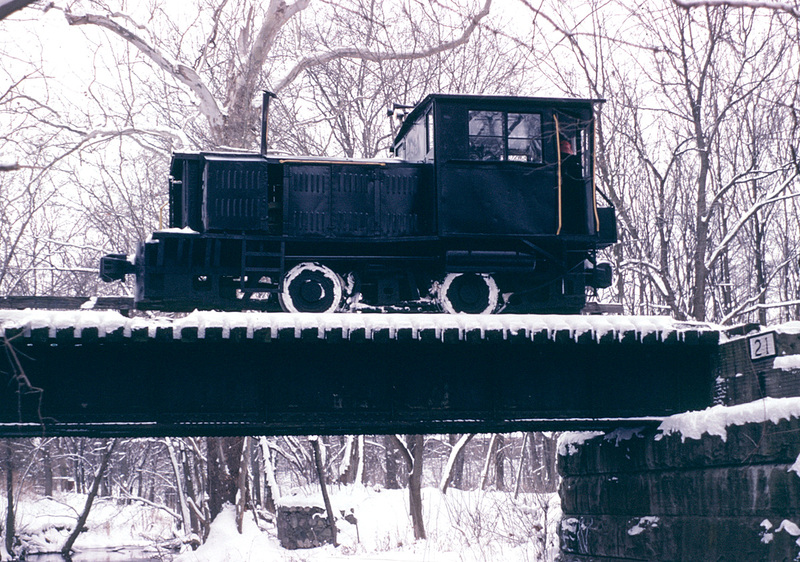 Restoration to working order—along with a repaint—was accomplished that year; yet having no cars to pull, the locomotive only ventured out from time to time. The winter of 1986–7 was a snowy one, and in January of 1987 we made some test runs to see how the Plymouth handled in the snow, and to try and clear some of the snow from the tracks and grade crossings so that we could keep going out with the track cars. 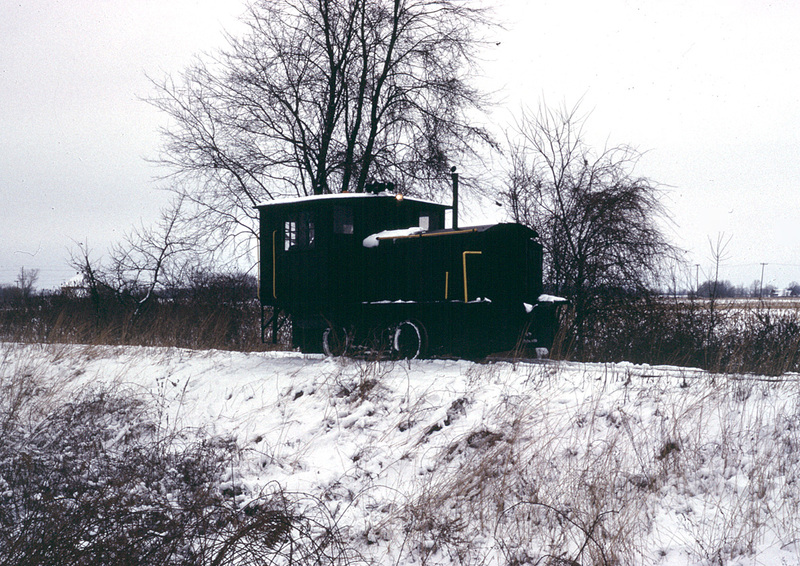 Runs were held on 17 and 24 January that year. 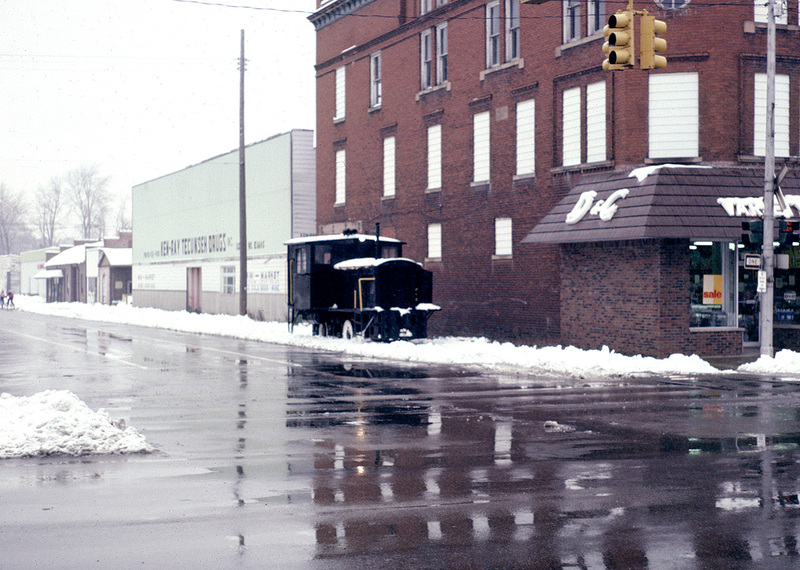 In both cases the locomotive experienced problems with wheelslip, and it was decided not to attempt crossing Chicago Boulevard in Tecumseh, lest it get stuck there! 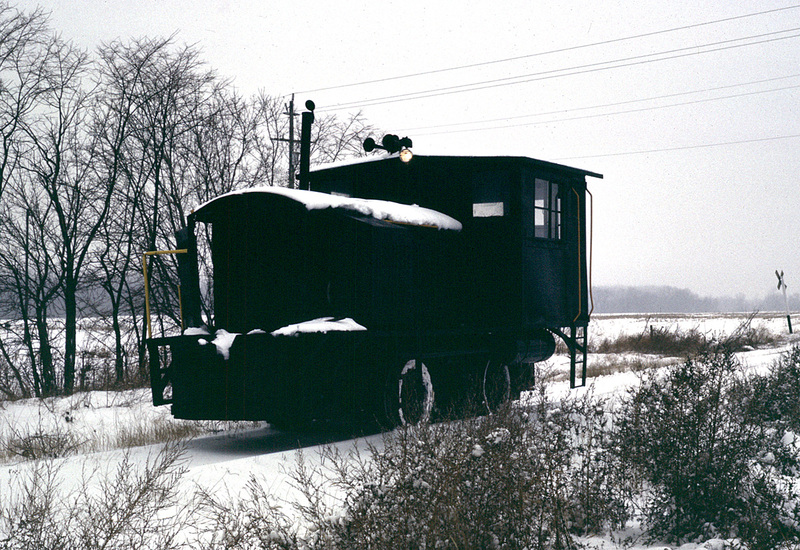 Further, lack of heat in the cab, with cold air slipping in around all the windows, made for an uncomfortable ride; even the addition of a portable kerosene heater to the cab on the second run didn’t help with this problem. Finally it was decided to park the locomotive until the spring. The photos below were made during the test runs on those weekends. South-bound, north of Staib Road—in the distance is Tecumseh-Clinton Road; the are in-between is still farmland today, perhaps the only piece remaining now. The locomotive has just crossed Staib Road, heading for Tecumseh. At this location there was a side-track for Tecumseh Crop Service. It was later removed, and TCS is no longer in business. 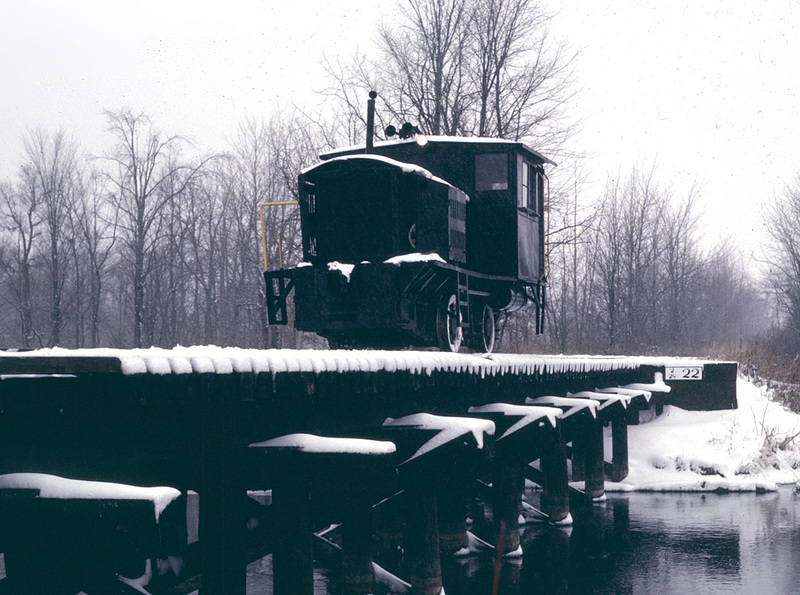 The locomotive crosses Evans Creek in Tecumseh; in the background, under the engine, is the abutment of an early road bridge. Mission accomplished! The SMRS crew has arrived in downtown Tecumseh, and probably gone to warm up with some hot chocolate in the Chocolate Vault! How much this scene has changed: gone are the D&C Store, Ken-Ray Drugs and, in the distance, R.S. Moore & Son Lumber. Don’t remember this but I was just looking at my 245 photos and the ones of us working on the track at Tecumseh Jct. to allow the Plymouth to get out onto the main so it could move north. Also pics of repairing a section of the trestle.